Indoor air pollution can be much more harmful than outdoor air pollution in homes with significant contaminants such as cigarette smoke, pet hair, dust, mold and pollen from the outdoors. Asthma and allergy sufferers are especially affected by trapped indoor pollution, but long-term exposure to excessive harmful particles can cause respiratory harm to even the healthiest among us. Beyond eliminating the original source of contaminants, one of the best things homeowners can do to protect themselves is invest in a reliable air purifier. The top air purifiers will reliably clean your air of all but the most microscopic airborne particles, and sit quietly and unobtrusively in your home. We've picked the best air purifiers on the market in 2017 below: read on to find the top picks for your budget, room size and health needs. Several significant Cyber Monday price cuts are still in effect, including the best deal we've ever seen on the Dyson Pure Cool Link Air Purifier below. 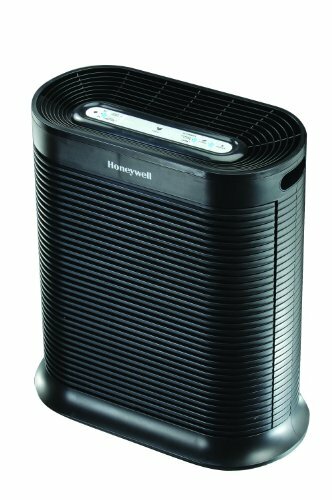 The True HEPA Allergen Remover from the heralded home appliances brand Honeywell is our top air purifier pick due to its combination of hospital-grade purification technology and ease of use at a reasonable mid-level price. The Honeywell Allergen Remover captures 99.97% of particles that pass through its HEPA filter, down to a minuscule 0.3 microns, meaning it blocks pollen, pet and smoke particles with ease. It has an extra-large room capacity of 465 square feet, and buyers report it is durable and has a long product lifespan. It has easy to use, with shutoff presets for 2 through 8 hours, and can filter a room up to 5 times per hour. The pre-filter has to be replaced every three months, while the HEPA filter only has to be replaced once per year, which is better than most HEPA filters which have to be replaced 2X per year. It is Energy Star qualified and only adds about the same amount of heat to a room as a 130-watt lightbulb, meaning it will save on your electric bill as well. 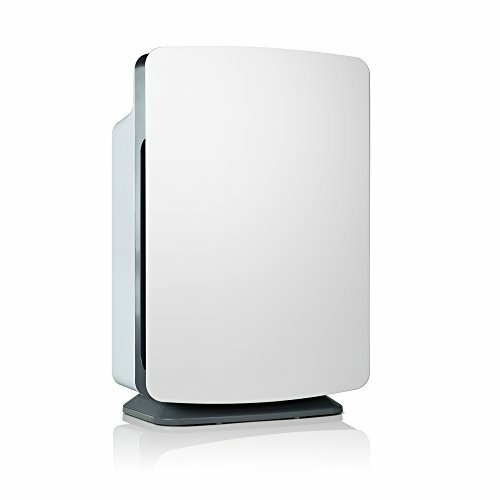 Germ Guardian's AC4825 3-in-1 Air Purifier is our favorite budget air purifier on the marketplace, offering many of the features of industry-leading models at a far cheaper price. While it doesn't offer the highest-grade protection for allergy sufferers, the largest-room coverage, or the sleekest design, it does most things well at a price point that makes it the top-selling air purifier on the market today. Germ Guardian's True HEPA Filter captures particles down to the same 0.3 micron size as our top pick from Honeywell, which is rare at a budget price point. It also adds UV-C technology to the filtration process to kill airborne bacteria and viruses. 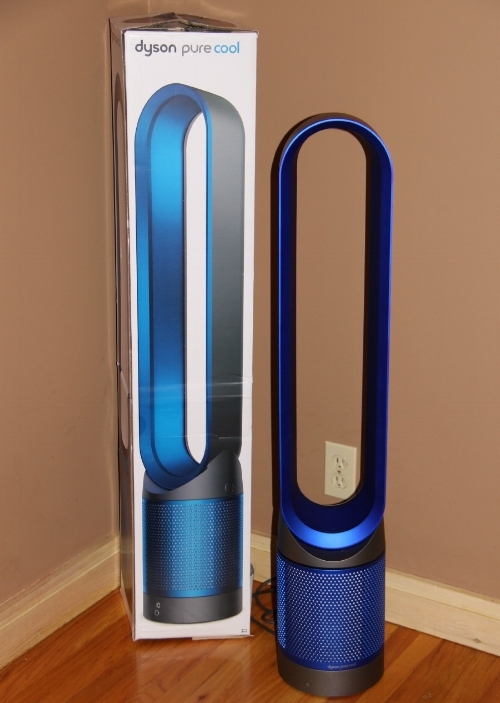 Dyson's famed design prowess is in full force with the stunningly designed Cool Link Air Purifier, which functions as an air purifier year round and a cooling fan in the summertime. The Cool Link Air Purifier is a slim and effective air purifier that will fit easily into most nooks in your home or office. It offers the same standard of air purification as our top overall choice from Honeywell - filtering 99.97% of allergens down to 0.3 microns - but looks twice as good and turns into a high-speed fan with the flip of a switch. The Dyson is the most high-tech air purifier out there; it is wifi-enabled so you can control it from anywhere via a nifty smartphone app, allowing you to check air quality reports and set its purifying modes remotely. It also links to Amazon's Echo for in-home voice control. Alen's BreatheSmart Air Purifier is our preferred choice for businesses and homeowners who are looking to keep large open spaces purified with just one slick energy-efficient device. Think of the BreatheSmart as a purifier that filters rooms of up to 1100 square feet at the same performance level as our top pick, which maxes at 465 feet. For that kind of coverage, you're paying a premium, with a cost several multiples of the Honeywell. The BreatheSmart comes in 16 stylish colors and has a slim and modern design. It is ultra-quiet and features Smart Sensor Technology that adjusts its power and mode automatically in response to changes in air quality, giving Dyson a run for its money for smart tech. Levoit's 3-in-1 Air Purifier is the smallest regular-strength model on the market, making it an ideal choice for frequent travelers who require a purifier wherever they go, or homeowners who want to place it on an elevated surface like a desk or kitchen counter. The Levoit comes in at a tiny 9.8 x 9.7 x 14.6 inches, but boasts enough power to keep a small bedroom, office or hotel room purified. It maxes out at around 150 square feet, significantly less than our similarly priced budget pick the Germ Guardian, but what you lose in coverage you gain in flexibility and attractive design. 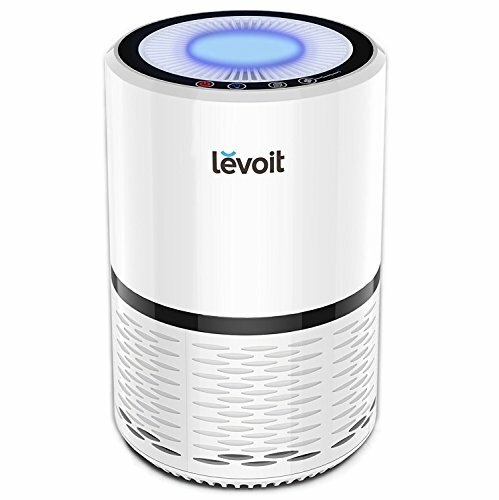 Levoit's purifier boasts triple filtration - Fine Preliminary, True HEPA, and Activated Carbon - to ensure 99.97% of particles and odors are removed. It is ultra-quiet and ozone free, and comes with a 2-year manufacturer's warranty.